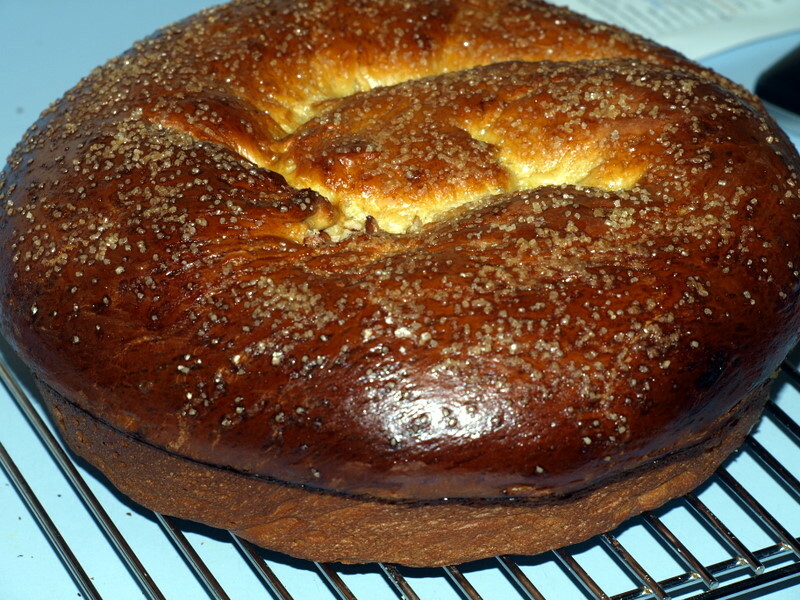 King Arthur Flour featured a round raisin challah recipe recently….it was a lovely-looking bread, coiled into a spiral and baked in a 9-inch round cake pan. I don’t like raisins much, so I decided to do a south Louisiana makeover on the challah. I followed KA’s recipe process, except I substituted Steen’s cane syrup for the honey, toasted pecans for the raisins, and coarse brown sugar for the sparkling white sugar atop the loaf. It was a partial success: taste & exterior appearance were good, but the pecans stuffed inside the spiral spilled out as it was sliced. KA’s procedure suggested sprinkling a long row of raisins atop the dough log, then folding it inside and stretching the log to 36″ long. 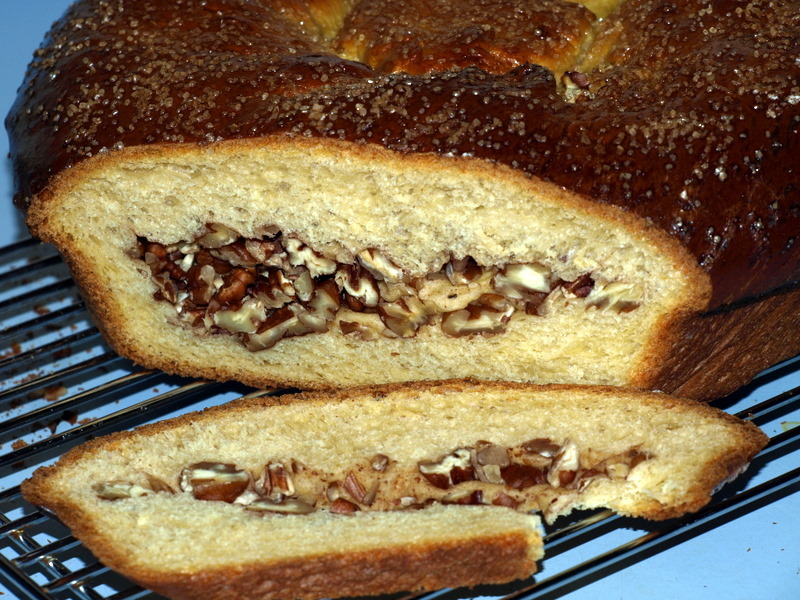 The pecans didn’t fuse with the dough the way lighter, softer raisins would have, instead forming pockets of solid pecans. Next time, I’ll knead the nuts into the dough before the bulk fermentation, allowing for pecans studded throughout the loaf rather than a messy spill of surplus nuts with each slice.